We believe that successful companies are more about people than products and that a company’s human assets are its most important resource. That is why many employees have invested their careers in Webco. Perhaps the biggest benefit for those who join our team are the frequent opportunities to learn new skills and improve on current expertise through focused education and training. Upward mobility and promotion from within has always been an important tenant of Webco's success. By continuously investing in its employees over many years, Webco has built a culture of excellence that delivers value to everyone who the company touches. Dana S. Weber was appointed to Chairman of Webco's Board of Directors in October of 2018. She has been the Chief Executive Officer since March 2011 and the President of the Company since June 1995. She also served as Vice Chairman of the Board from June 1990 until October 2018. Prior to March 2011, Ms. Weber was Chief Operating Officer. Ms. Weber’s term as a Director of the Company expires in February 2021. Ms. Weber was the acting Chief Financial Officer of the Company from August 1994 to July 1995. Ms. Weber served as Chief Financial Officer and Treasurer of the Company from 1986 to June 1990. 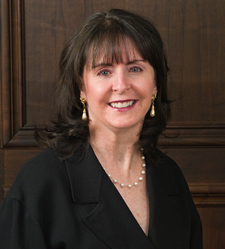 Ms. Weber has been with the Company or its predecessors full-time in various positions since 1977. Ms. Weber graduated from the University of Tulsa with a Bachelor of Science in Accounting in 1979 and with a Juris Doctorate in 1983. Ms. Weber is also a 1986 graduate of the Harvard Business School Program for Management Development. Ms. Weber is the daughter of Webco's founder, F. William Weber. 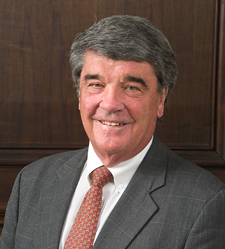 Dr. Kenneth E. Case Case has been a Director of the Company since July 1995. Dr. Case’s term as a Director of the Company expires in February 2020. Dr. Case retired in June 2005 from Oklahoma State University as a Regents Professor of Industrial Engineering and Management at Oklahoma State University, which he joined in August 1975. He is a licensed professional engineer and was named the Outstanding Engineer in Oklahoma in 1987. His primary specialties are in the fields of quality and reliability. Dr. Case was a Senior Examiner on the Malcolm Baldrige National Quality Award from 1988 to 1990, and on the Panel of Judges from 1991 to 1993. He is a member of the National Academy of Engineering, and the International Academy for Quality. He is a Fellow and 1986-1987 president of the Institute of Industrial Engineers (IIE). In 2002, Dr. Case became the 29th recipient of the Frank and Lillian Gilbreth Industrial Engineering Award, the IIE’s highest honor. Dr. Case has also been project director on over twenty sponsored research projects and has published over 100 articles and co-authored three books. Christopher L. Kowalski has been with the company or one of its subsidiaries since 1979. Mr. Kowalski’s term as a director of the Company expires in February 2022. Mr. Kowalski is President of Phillip's & Johnston Inc. ("P&J"), a wholly owned subsidiary of the company. Mr. Kowalski joined P&J in 1979 and has served as its president since 1987. Prior to his employment with P&J, Mr. Kowalski worked for Central Steel & Wire, Inc.
Jack D. McCarthy has been a Director of the Company since December 2001. Mr. McCarthy’s term as a Director of the Company expires in February 2020. Mr. McCarthy is currently a managing director with Alvarez & Marsal, where he has the responsibility for their Emerging Market offices. Mr. McCarthy was the Senior Vice President – Finance and Chief Financial Officer of The Williams Companies (NYSE: WMB) from 1992 until his retirement in 2003. Mr. McCarthy had been with The Williams Companies since 1986, also having served as Executive Director of Taxation and Vice President and Treasurer. Prior to joining the above employments, Mr. McCarthy held various executive and director positions in taxation and finance for Tenneco, Inc., El Paso Natural Gas, Inc., and Phillips Petroleum Company. Prior to those employments, Mr. McCarthy worked for the independent accounting firm, Ernst & Young, and a law firm. 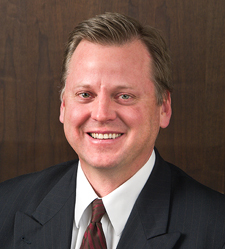 Mr. McCarthy holds a Juris Doctorate from Wayne State University, and an MBA and BBA from the University of Michigan. 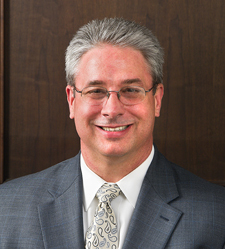 David E. Boyer was appointed as Vice-Chairman in October of 2018. His term will extend until February of 2021. He was appointed as Chief Operating Officer by the Board of Directors in March 2011. He also continues to serve as Senior Vice President – Tubing Operation, and has held that position since May 2001. Mr. Boyer is the Assistant Secretary of the Company. Mr. Boyer previously served as Vice President of Sales and Marketing from July 1992 to May 2001; General Manager – Stainless Division from June 1991 to July 1992; as Product Manager, Stainless Products, from February 1989 to June 1991; and in various other positions with the Company since 1984. 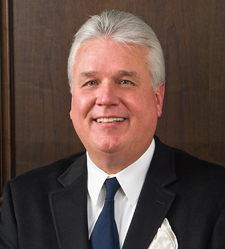 Mr. Boyer graduated from Millikin University in 1982 with a Bachelor of Science in Industrial Engineering. Mr. Boyer received a Masters of Industrial Engineering from Oklahoma State University in 1984. Mr. Boyer is a Fall 1998 graduate of the Harvard Business School Program for Management Development. Michael P. Howard is Chief Financial Officer, Senior Vice President of Finance and Administration and Treasurer, responsibilities he assumed when joining the company in January 1997. In 2013, Mr. Howard also assumed the role of corporate secretary. From January 1996 to January 1997, Mr. Howard was Vice President of Finance and Administration and Chief Financial Officer for Multimedia Games Inc. From May 1985 to January 1996, Mr. Howard was employed by the international accounting firm of Coopers & Lybrand LLP, where he worked in the Business Assurance Group and served as the audit manager on the Company’s audit during five years of that period. 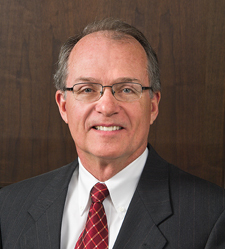 Mr. Howard is a Certified Public Accountant and received his Bachelors in Accounting from the University of Oklahoma in 1986.